It's Wednesday when we all go outdoors. 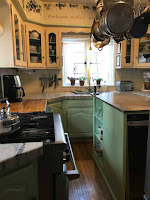 Stop by and visit Susan at A Southern Daydreamer and see what everyone is doing outside. At Linderhof, the pansies are fading with the heat. One of my favorite flowers, their blooms are all too fleeting but I do enjoy their spring presence. 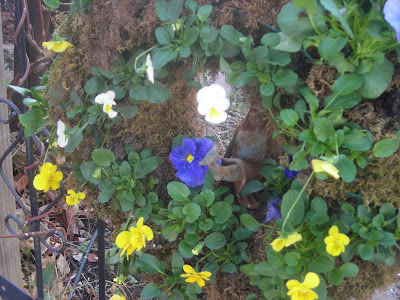 I love to take my living wreath and make a wreath of pansies. Which lasts from early March until just after Memorial Day -- with the rain we had in May, it filled out nicely but the heat of the last few days took it's toll. 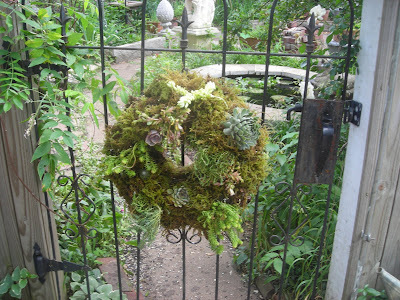 It's a cheery way to welcome guests to the garden -- the living wreath on the garden gate. Usually, I replace the pansies with herbs but this year I found the most amazing wreath on Color Outside the Lines. 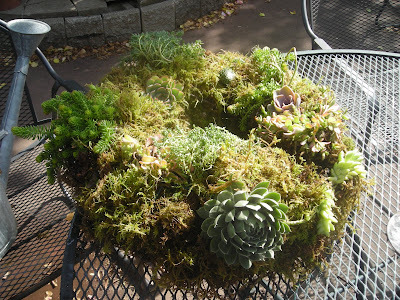 I love Artie's blog and this post about GinC garden including the succulent wreath made me rethink my herbal one. 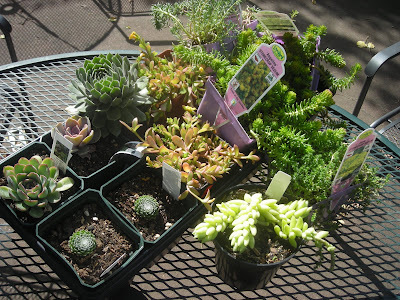 Off to the garden center I went for a nice array of succulents. With the pansies removed and fresh moss, I made my own version of Gary's wreath. Not as good as the one Gary made and I may go back for a few more things. With a burro's tail as a sort of bow, some hens and chicks and sedums and the background of moss, I think the colors and textures make for an interesting wreath. Living wreaths, too, normally take a lot of water so I'm hoping that the succulents will not need a drink nearly as often as the herbs did. But I think it looks great on the garden gate as a way to welcome visitors to Linderhof's garden. Martha, that is a wonderful wreath! And I love all of your succulents. Very wonderful plants. They have such a unique, almost architectural or sculptural quality. Martha, what a beautiful wreath. I have only done a little work with the succulents, but I think you've inspired me. Have a wonderful day. Happy Outdoor Wednesday Martha!Ilove your wreath! I may have to try to make one... it is very inviting! Happy Outdoor Wednesday....I LOVE, LOVE, LOVE YOUR WREATH. That is totally awesome. I think I may have to try and make one of these, because I love succulents. 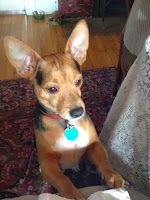 This is my first time to your blog but I will be back to read more when I have more time. Our pansies are just beginning to show signs they don't like the daytime heat but it's still cool at night so they're hanging on. I always hate to take them out. I love the wreath idea. Very creative and you still get to have a green fix! 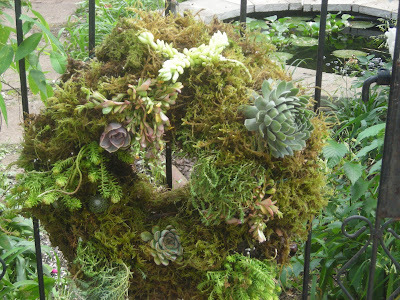 Hi Martha, you succulent wreath looks fabulous and it won’t mind the heat one bit. Hi Martha, love it all especially the wreath! 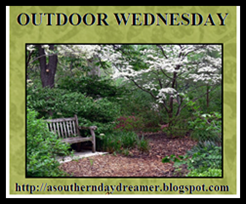 Happy Outdoor Wednesday. It's beautiful! You did such a great job! :) I know that Gary will be so happy with your version. He's great inspiration - as are you! I made an herbal one probably 15 years ago and it was hard to remember to water it! I had it hanging on my garden gate. I love the ideas using succulents. I may have to give it a go again! I'm so glad you visited so I could find yours! What an awesome blog. 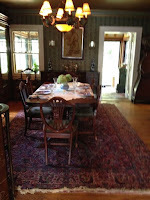 I love your house and gardens and will come back when I can spend more time checking out all your posts. Your wreath is wonderful, Martha! I've always wanted to do something like this. I'm going to try it now. What a pretty idea and I like the fact that you do not have to water it all the time. Oh that is lovely and a great idea. What a nice welcome to your home! It is lovely! I adore pansies but succulents are high on the list also! Beautiful wreath! I think the succelent wreath came out very nicely. I like the idea of a living wreath and I am wondering if I missed one of your posts concerning how to make one. Your new wreath looks very handsome on your gate. 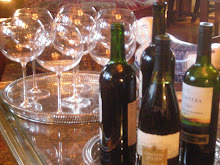 A very nice welcome! What a Difference an End Table makes!